removes impurities and restores / improves the electrical, chemical and physical properties of transformer insulating oils. This oil is an integral part of most large power transformers. It serves two major roles, as a cooling agent and as an electrical insulator between internal components. Contamination of this oil compromises the insulating properties and leads to premature failure of the transformer. This contamination can be in the form of water, dissolved gases, or foreign particles. 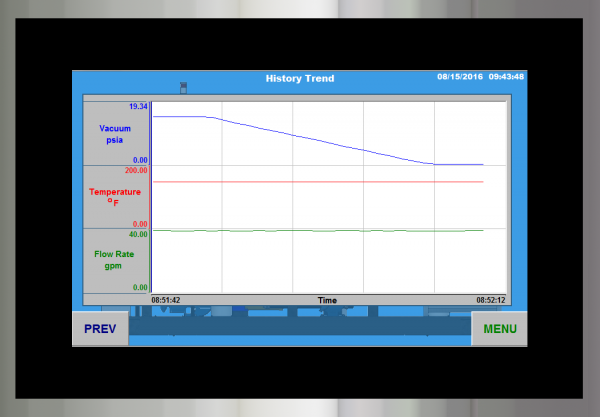 By processing this oil with a vacuum dehydration unit like the Vacudyne Transformer Oil Purifier, this contamination can be removed returning the insulating oil to it’s original specifications. 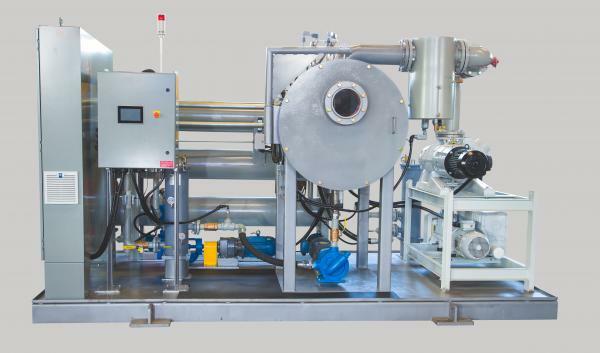 The system incorporates high vacuum and mechanical filtration to dehydration, degasification and filter contaminated oil. 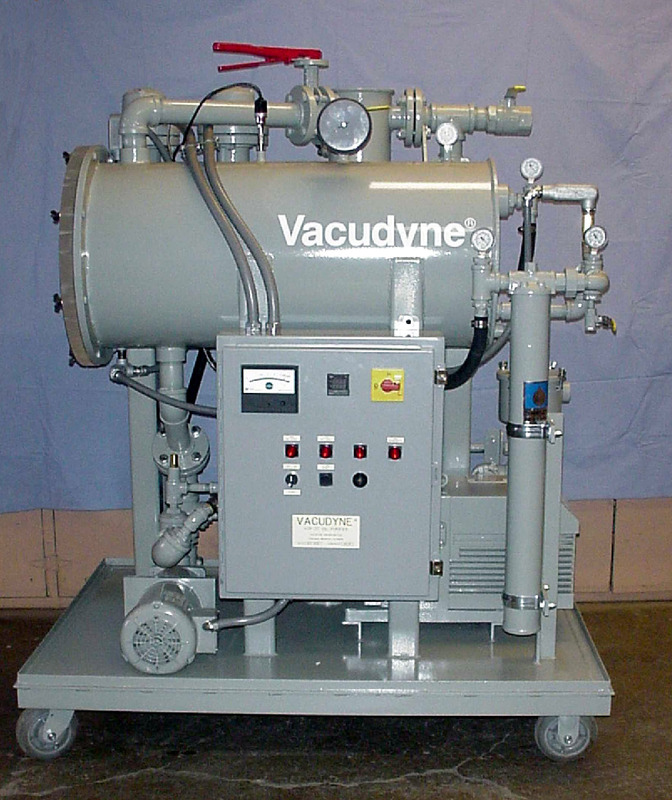 Engineered with functionality and versatility to meet a wide range of applications with features such as: an inlet pump capable of drawing oil from long distances and low elevations, a unique multi-level vacuum chamber design for rapid degasification, a sophisticated heating control scheme to insure safe and efficient processing of the contaminated oil, and a variable speed outlet pump to return the processed oil to the transformer being serviced. 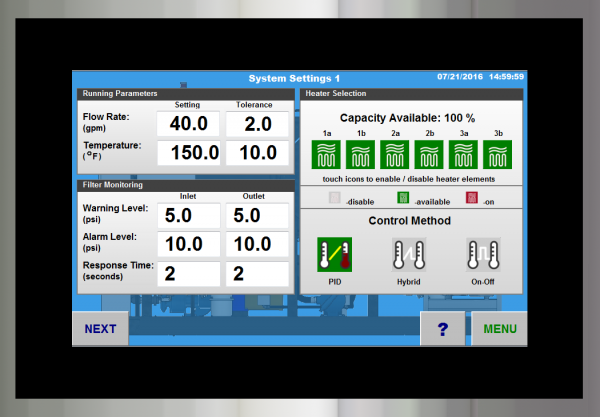 Control, monitoring, and user interaction is accomplished through an industrial grade touchscreen operator interface. 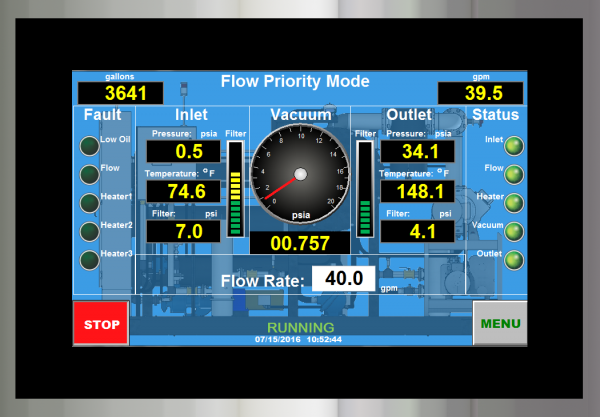 All parameters are easily viewed and adjusted through this interface along with viewing of current and historical data. 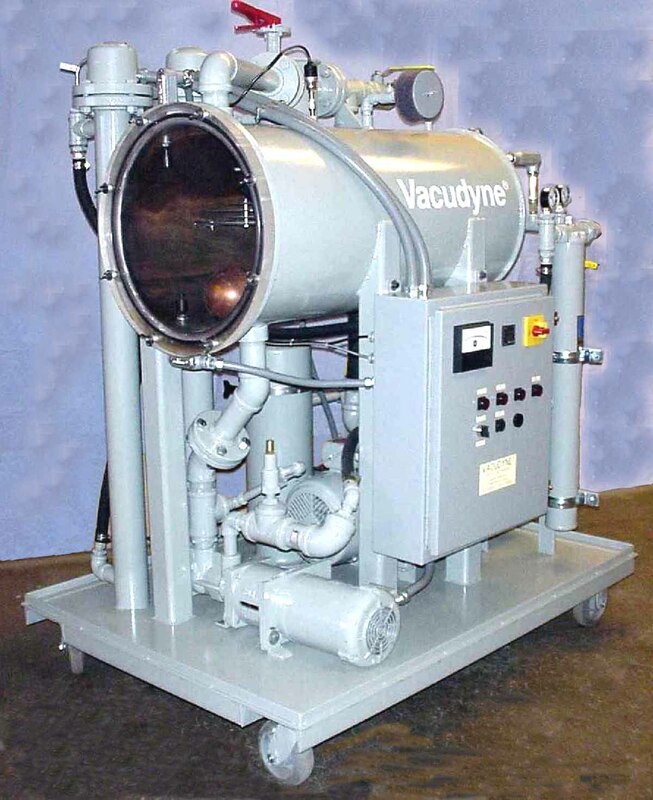 The Vacudyne Transformer Oil Purifier removes impurities and restores / improves the electrical, chemical and physical properties of transformer insulating oils.